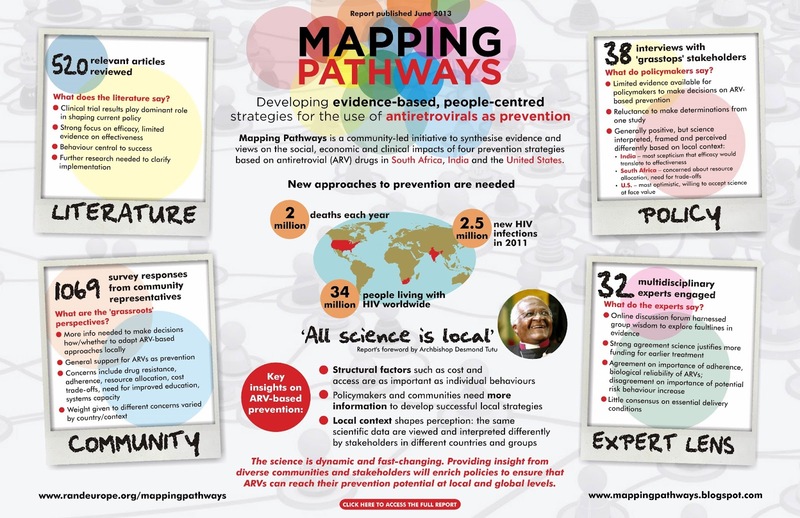 Mapping Pathways is a multi-national project to develop and nurture a research-driven, community-led global understanding of the emerging evidence base around the adoption of antiretroviral-based prevention strategies to end the HIV/AIDS epidemic. The evidence base is more than results from clinical trials - it must include stakeholder and community perspectives as well. According to Mapping Pathways, the ideal approach to implementing treatment as prevention should consider not only the clinical goal of efficacy (works in a lab), but also effectiveness (how to apply the solution in a community). “I know that if you get anti-retroviral drugs into someone’s blood, they suppress the virus. We have amazing proof of that - it’s a major scientific breakthrough in the history of humankind,” said Linda-Gail Bekker, chief operating officer of the Desmond Tutu HIV Foundation, based in South Africa. “But now we have to put this together so it works, which means engaging with a wide range of human beings who live very different lives than those of us who run these programmes might imagine,” she said. Effectiveness requires behaviour change and, therefore, varies across cultures, governments, and communities based on “the firms that produce the drugs, the healthcare clinics that deliver the drugs, the community centres that provide education, and the partnerships developed,” according to Mapping Pathways. “Human beings will behave like human beings. What does that mean? Well, social sciences have been trying to figure that out for centuries and don’t have one single theory, so why should our HIV programmes?” asked Bekker. Read the whole article on IRIN. 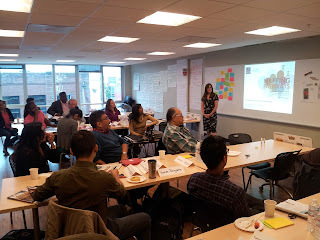 Podcast: Mapping Pathways' San Francisco "Knowledge Exchange Workshop" - More Robust, Better Resourced Behavioral and Implementation Science is Needed! Jim and Jessica from the Mapping Pathways team have podcasted again! This new 12-minute podcast (click to listen) was produced by AIDS Foundation of Chicago (a Mapping Pathways partner) and is the fourth in a series of discussions inspired by our new report "Developing Evidence-Based, People-Centred Strategies for the Use of Antiretrovirals as Prevention." 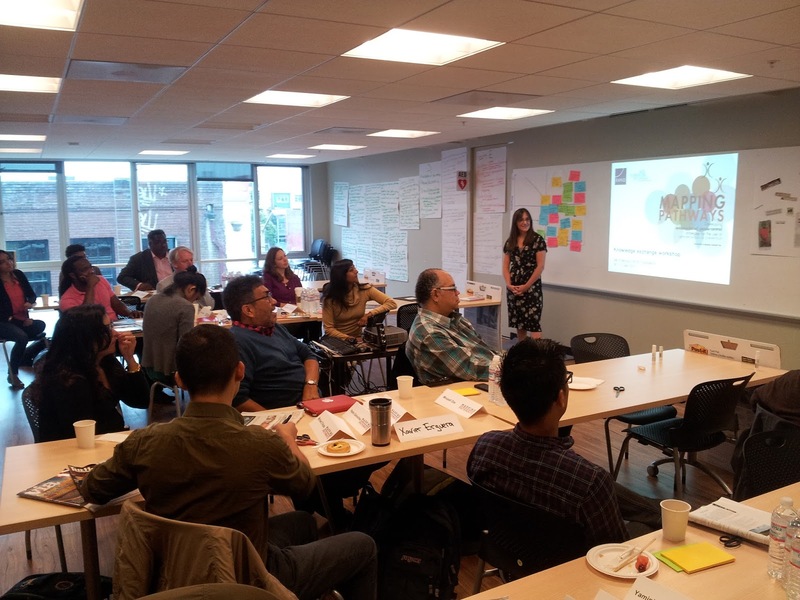 In this new podcast, Jim and Jessica talk about the recent Mapping Pathways "Knowledge Exchange Workshop" at the beautiful San Francisco AIDS Foundation which included researchers, public health officials, policy experts, advocates, and prevention staffers from the Bay Area. Our report provided the backdrop - and the launch pad - for rich discussion/debate and a series of future-thinking exercises focued on ARV-based prevention strategies and scenario planning. The above pic is an "action shot" from the workshop. Big take-aways from our two days together include the need for more robust (and better resourced) behavioral science and implementation projects - and for advocacy devoted to both these areas. We have vaccine advocates, microbicide advocates, treatment advocates, PrEP advocates.... it's about time we have some concerted advocacy for behavioral science and implementation science too! Without more attention and adequate funding for these activities - it won't matter how efficacious a biomedical tool proves to be in a clinical trial. Things like PrEP, etc. need to work in the REAL world - which a clinical trial does not accurately represent . Here are the presentation slides used during the workshop. Click here for previous podcasts on topics like PEP and PrEP. If we are to toss AIDS into the dustbin, we must do our best to understand the intersections of scientific discovery and community wisdom, address the truths in both, and move forward with decisions that take into consideration a full, robust interpretation of the evidence base. These are extraordinary times in which we are living. More than three decades into the global HIV pandemic, discussing ‘the end of AIDS’ is more than a rhetorical flourish, more than political grandstanding, and more than wishful thinking. At this very moment, we have ‘the end of AIDS’ in our collective sights in a way we have never had before. Even as the epidemic continues to wreak havoc in the lives of far too many of our precious daughters, sons, sisters, brothers, mothers, fathers, friends and colleagues across the world – new and exciting scientific discoveries are pointing to a future where AIDS is a brutish artefact of history. Science has shown us that treating HIV-positive people with a combination of antiretroviral drugs (ARVs) is not only good for the individual being treated, but also imparts a prevention benefit for the broader community as well. People on successful treatment do not get sick and die, and are much less likely to pass their infection to their partners. Science has also shown that ARV drugs provided to HIV-negative individuals can protect them from the virus if exposed, much like anti-malarial drugs prevent malaria. And there are new, user-friendly ways to deliver ARVs being developed and tested at this very moment. We simply must take the critical next steps to end AIDS now that science proves it can be achieved. If enough global citizens, people of faith, members of the private sector and world leaders summon the courage to accelerate and increase their investments in the global response to overcome AIDS, we have a very good chance of containing the worst viral scourge the world has ever known. Conducting research in India, South Africa and the US, Mapping Pathways has taken such a step, one that helps make ‘real-world’ sense of the incredibly dynamic nature of the science. With new discoveries and insights coming so quickly it is hard to keep up. Much like politics, all science is local. The understanding of what this new science means is local. Its utility is local. Yes, we have compelling results from clinical trials, and make no mistake, we will have more. But the opinions, perspectives and lived wisdom of communities, from the grassroots to the grasstops, matter just as much as the peer-reviewed scientific data that are coming at us fast and furiously. How communities absorb, understand and prioritise the science matters. Placing a premium on a ‘people-centred’ interpretation of the science, Mapping Pathways has tapped the smarts, and the hearts, of advocates, researchers, clinicians, policymakers, pharmacists, funders, public health workers and people living with HIV. The results of their journey are illustrated in this monograph. I hope these findings will help communities across the globe grapple with the promises, and the marked complexities, of this thrilling new prevention paradigm in which we find ourselves. 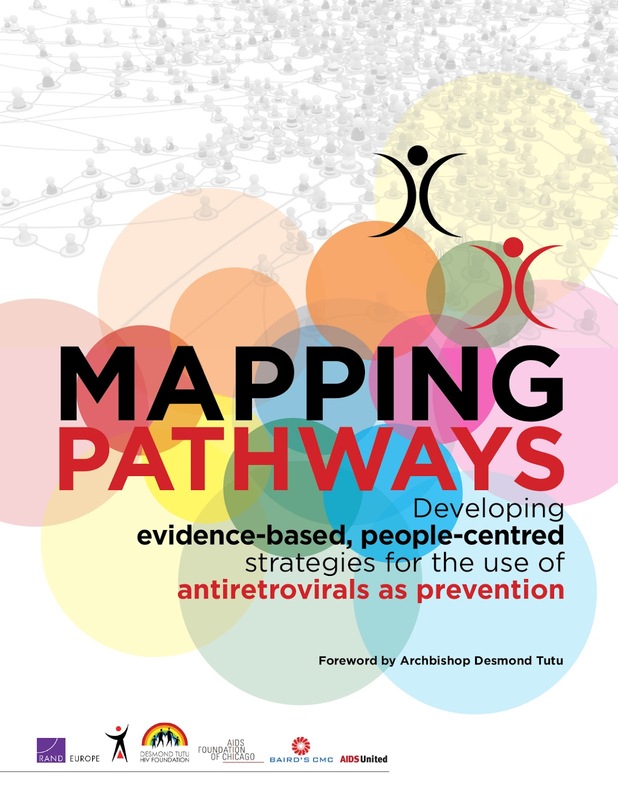 I recommend Mapping Pathways – Developing evidence-based, people-centred strategies for the use of antiretrovirals as prevention. If we are to toss AIDS into the dustbin, we must do our best to understand the intersections of scientific discovery and community wisdom, address the truths in both, and move forward with decisions that take into consideration a full, robust interpretation of the evidence base. Let us map new pathways together, for our generation and for those who follow. Let us be the generation to make the difference. Let us be done with AIDS. Jim and Jessica (pictured above) from the Mapping Pathways team are back with a new podcast - and this time the topic is PEP - post-exposure prophylaxis for HIV prevention. This 12-minute podcast (click to listen) was produced by AIDS Foundation of Chicago (a Mapping Pathways partner) and is the third in a series of discussions inspired by the new report "Developing Evidence-Based, People-Centred Strategies for the Use of Antiretrovirals as Prevention." In this new podcast, Jessica Terlikowski and Jim Pickett discuss the promise of PEP, and the unfortunate lack of strong implementation that characterizes this intervention in nearly every part of the world. 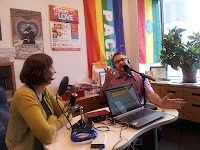 Click here for a previous podcast in which Jessica and Jim introduce the Mapping Pathways report (published by Mapping Pathways partner RAND) and explain its relevance for multiple audiences. 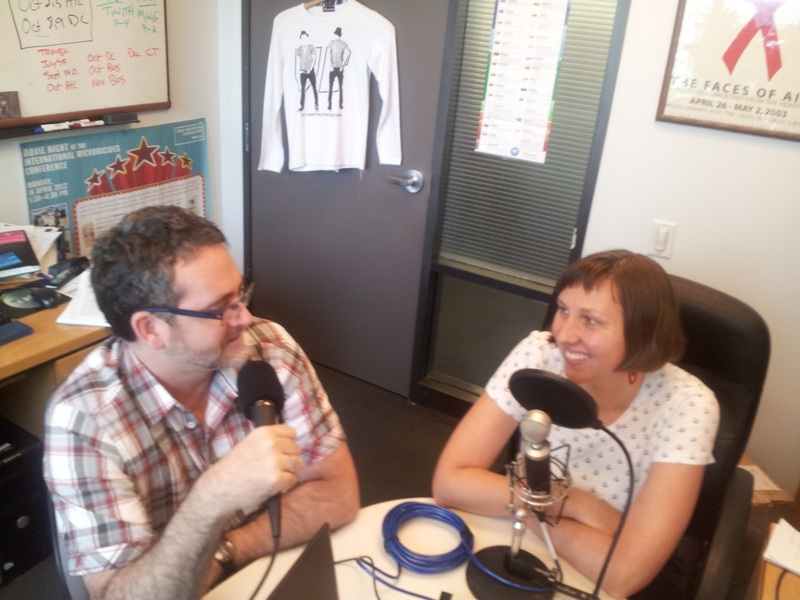 Click here for their second podcast where they chat about PrEP - pre-exposure prophylaxis. Please stay tuned for future podcasts on topics like microbicides, the use of treatment for prevention, and more. Feel free to leave comments or questions here, on the podcast itself, of by sending an email to mappingpathways@gmail.com. This 10-minute podcast (click to listen) was produced by AIDS Foundation of Chicago (AFC) and is the second in a series of discussions inspired by "Developing Evidence-Based, People-Centred Strategies for the Use of Antiretrovirals as Prevention." This new Mapping Pathways report was published 19 June 2013 by RAND Europe and AFC. In this new podcast, AFC staffers and Mapping Pathways team members Jessica Terlikowski and Jim Pickett chat about PrEP - pre-exposure prophylaxis. Click here for Jessica and Jim's previous podcast - posted June 21, 2013 - which introduces the report and talks about why it is relevant for multiple audiences. Jessica and Jim will be back soon to talk about the other ARV-based prevention strategies that were explored in the report: PEP (post-exposure prophylaxis), TLC+ (testing, linkage to care, plus treatment) and microbicides. And you will find out about it right here. Snapshot of the global epidemic, highlighting India, South Africa and the U.S. where Mapping Pathways collected data. From the new report. This 14-minute podcast (click below to listen) was produced by AIDS Foundation of Chicago (AFC) and kicks off a series of discussions about "Developing Evidence-Based, People-Centred Strategies for the Use of Antiretrovirals as Prevention" the new Mapping Pathways report published 19 June 2013 by RAND Europe and AFC. AFC staffers and Mapping Pathways team members Jessica Terlikowski and Jim Pickett introduce the report and talk about why it is both interesting and useful. Jessica and Jim will be back to talk more in depth about each of the ARV-based prevention strategies that were explored: PEP (post-exposure prophylaxis), PrEP (pre-exposure prophylaxis), TLC+ (testing, linkage to care, plus treatment) and microbicides. Watch - and listen - to this space! 90 Seconds: Molly Morgan Jones, a Research Leader in RAND Europe, and lead author of the new Mapping Pathways report "Developing Evidence-Based, People-Centred Strategies for the Use of Antiretrovirals as Prevention" discusses how antiretroviral (ARV)-based HIV prevention strategies need to be closely tailored to local contexts and cultures in order to make an impact on new HIV infections globally. Watch below. Access the report here. Check out the report's Research Brief here. June 19, 2013 – To make an impact on new HIV infections globally, antiretroviral (ARV)-based HIV prevention strategies need to be closely tailored to local contexts and cultures, according to a new report released today by RAND Europe and AIDS Foundation of Chicago. 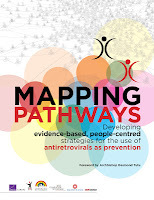 “‘Mapping Pathways: Developing Evidence-Based, People-Centred Strategies for the Use of Antiretrovirals as Prevention’ [available by open access online on the RAND Europe website, and on the Mapping Pathways blog] provides an important resource to help communities, prevention programmers, funders and policymakers decide whether, and how, an ARV-based strategy could work in their locality,” said Jim Pickett, director of prevention advocacy at AIDS Foundation of Chicago and project director. Last year, more than 2 million people globally became infected with HIV suggesting current prevention strategies are not doing enough to halt HIV transmission. Research suggests that some of the most promising prevention strategies are based on ARV drugs, such as pre-exposure prophylaxis (PrEP) and treatment. “However, just because we know that ARVs can prevent HIV infection does not mean that we will, in practice, successfully implement their use in communities that need them,” said lead author Molly Morgan Jones, research leader at RAND Europe in Cambridge, UK. Mapping Pathways is a community-led research project on the strategic use of ARV drugs for HIV prevention, involving RAND Europe, AIDS Foundation of Chicago and other partners in India, South Africa and the United States. The group engaged more than 1,000 community respondents with an online survey and interviewed several dozen key stakeholders, including policy experts, program implementers, health care professionals and advocates. Participants rated the importance of various ARV-based prevention strategies, shared their perspectives regarding barriers to implementation and suggested the kinds of information they needed to make informed decisions about whether to implement any ARV-based strategy. Additionally, an extensive literature review was conducted during 2011 and 2012 to assess the published scientific evidence. Detailed snapshots from these activities are highlighted in the report and provide rich, localized context that reveal the opinions and concerns of a wide array of individuals and underscore important gaps in the evidence. • First, structural issues such as community-level living conditions that affect access, such as proximity to appropriate health care and other social determinants of health, are as important as individual-level behaviors. • Second, more information about implementation is needed by policymakers, funders and prevention programmers in order to determine what mix of ARV-based prevention strategies, if any, are appropriate. • The third challenge is to adapt ARV-based prevention strategies for local contexts, as reflected in the book’s foreword written by Archbishop Desmond Tutu (“All science is local”). The research found that within each country, and among varied types of people, the same sets of scientific data were interpreted and framed in different ways depending on the local context and perspectives. 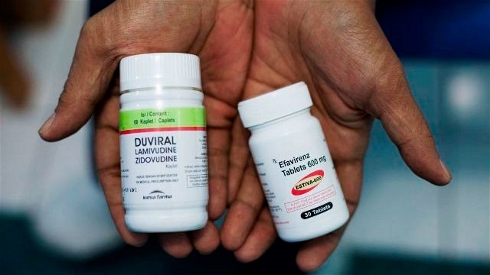 For instance, participants in South Africa and India tended to view the scientific data with more skepticism than individuals from the United States, so the successful adoption of ARV-based prevention strategies, such as PrEP, requires consideration of both the science and the local context. “It is important to marry the published evidence with the wisdom of communities to make decisions on prevention programming that make sense locally, for communities to map out their own, unique pathways,” Jones said. Moving forward, there are many considerations for the use of ARVs as prevention in localities. “Different countries and communities are at different places,” said Dr. Linda-Gail Bekker, deputy director of the Desmond Tutu HIV Foundation in South Africa and a Mapping Pathways partner. “We all have to ask policymakers, funders, and ourselves a host of questions. How will we implement a certain strategy? How will we pay for it? Is it for the generalized epidemic or is it only for certain key populations? 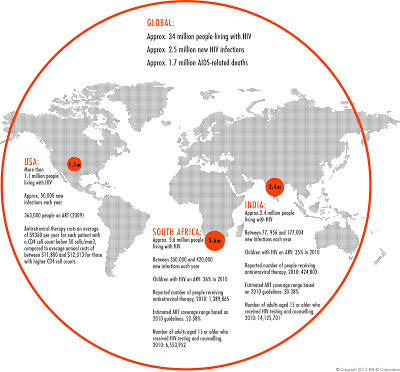 What are the social factors that make certain populations vulnerable? Is this strategy ethical? Does it make sound public health sense? What won’t be afforded if we go this route? Who will benefit if we do? Risk perception and the consequent behavioral responses has been a theme that has fascinated Philip Smith throughout his professional career. 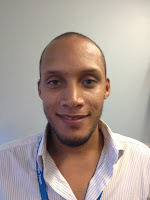 Smith, a Ph.D. candidate at the Desmond Tutu HIV Foundation (DTHF), a Mapping Pathways partner organisation, first encountered the subject of risk perception as he was completing his masters degree in social science and psychology at the University of Cape Town. Smith realised that scaring people with death as part of a prevention strategy may actually end up leading people to deny their own vulnerability. “Smoking is an example where a key prevention strategy involves subjecting people to images of death. My research indicates that this kind of messaging actually leads to a psychological tension that can lead to risk-denial or even an increase in self-esteem boosting risky behavior to relieve that tension,” says Smith. Smith’s interest in risk and the HIV field led him to DTHF and subsequently to a key role in the Mapping Pathways project; writing up the results of the 2011 Online Survey as part of a monograph to be published this spring by project partner, RAND.. The online survey is one of four data collection mechanisms of the Mapping Pathways project: the other three being the ExpertLens, the Literature Review and the Stakeholder Interviews. The methodology involved first creating a questionnaire with two different sections: a multiple choice section and a qualitative section where respondents were asked about information they wanted and concerns they may have about ARV-based prevention strategies. Over 1,000 individuals participated in the survey across the three countries. Among other questions, participants were asked how important they thought ARV-based prevention strategies were and what would they find useful in their work. In addition to asking participants to quantify how important they believed the different strategies are in preventing HIV infection in their communities, they were also given the opportunity to share their perspectives of the barriers to implementing successful ARV-based prevention strategies. Lastly, participants were asked to suggest what kinds of information they would find helpful in implementing community friendly, impactful, ARV-based prevention strategies. “Most participants felt positively about ARV-based prevention strategies and their implementation. TLC+ was the most favoured strategy and some valid concerns were raised about cost and the lack of access to healthcare, especially in South Africa and India but also in the U.S.,” says Smith. Smith says that a key conversation that developed revolved around how healthcare systems around the world, currently tailored towards treatment, would have to adapt with a twin focus on prevention to successfully implement ARV-based prevention strategies. Consequently, participants wanted to know how best to raise awareness about the different prevention strategies, with some participants requesting that information be made available comparing the different strategies to maximise informed choices in communities. Participants also expressed interest in understanding what policy-makers thought about ARV-based prevention methods because this would act as a useful guide for implementation. Besides data collection and gathering an evidence base, the key mission of the Mapping Pathways project is to disseminate findings and liaise with the global HIV-treatment and prevention community at large around the use of ARVs for prevention. The upcoming monograph, “Developing evidence-based, people-centered strategies for the use of antiretrovirals as prevention” will touch on all these themes and more, including the theme of risk that has so intrigued Smith throughout his professional career. We need options. Not everyone in the world is a good pill taker. Like so many things in life, we may realise that people need different prevention options since they have different personalities. MP: You have mentioned adolescents as a particular vulnerable group in South Africa. In an interview conducted earlier this year, your colleague, Dr. Melissa Wallace, also talked about adolescents as an especially at-risk group. What are some factors that make them so vulnerable? LGB: One particular reason why adolescents are highly at risk for HIV is because many are at the stage of their lives where they may be experimenting with their sexuality. They may also find themselves in relationships where negotiating condoms may be incredibly difficult. This maybe the case with younger women whose relationships can be with older men and young MSM outing themselves for the first time and who may then choose to go out with older men. In that situation, being able to use a PrEP tablet discreetly and under their own control could be a life-saving step. So putting prevention into the hands of the vulnerable becomes a very important tool. But we can only do this if we are sure it’s safe in this population, which requires carefully run clinical research in order to adequately test the product in the relevant populations. This requires resources and investment from sponsors and funding agencies even though this is often regarded as “high risk investment”. In that regard, I’m delighted that we’ll be starting an MP3 project (methods of prevention) based on a grant awarded to us by the National Institutes of Health (NIH) to look at PrEP and other biomedical prevention modalities in adolescents between 14-17 years old. MP: Adherence is an issue that has come up quite a bit this year, from M2012 to AIDS 2012. How much are people talking about adherence and about taking lessons learned from trials into the real world? LGB: Adherence is the Achilles heel of the HIV prevention and treatment worlds. This is where biology meets behavior. We know that the pill is efficacious – Partners PrEP showed that beautifully. In fact, every single one of the clinical trials has shown that once adherence increases there is a direct correlation with efficacy in the results. Starting with the 39% in the CAPRISA study leading on to 44% in the iPrEx study and going on to an astounding 75% in the Partners PrEP study – each one had an increased overall adherence rate and with this an increase in point efficacy, so the correlation appears to be a real phenomenon. In addition, the sub-studies done in every trial showed that high adherers within a study had a better efficacy compared to the lower adherers. So we can quite confidently say there is a robust relationship between adherence and efficacy. So how do we get people to adhere? Motivations play a great role. Partners PrEP which enrolled discordant couples had a great in-built motivation that one was protecting a loved one by taking the pill, which may be the reason we saw particularly high adherence for that population. I think we also need to understand that not everybody in this world is a good pill-taker. There will be those who just cannot bring themselves to swallow pills on a daily basis. So PrEP may not be a very good idea for them. In that situation, maybe a rectal microbicide or a microbicide that’s part of a lubricant may work very well for that individual. We need options. If we get to that stage in the future where other prevention technologies are available, like getting a shot in the arm that lasts three months, then we need that option on the table too. Like so many things in life, we may realise that people need different prevention options since they have different personalities. MP: What are some of your final thoughts on what needs to happen to stem the HIV epidemic? LGB: We need to have conversations on several different levels: ethical, scientific, public health, politics and priorities. Different countries and communities will be at different places. Some of the hard questions are : Who pays? How will we implement this prevention strategy? Is this strategy for the generalised epidemic or is it only for selected key populations? 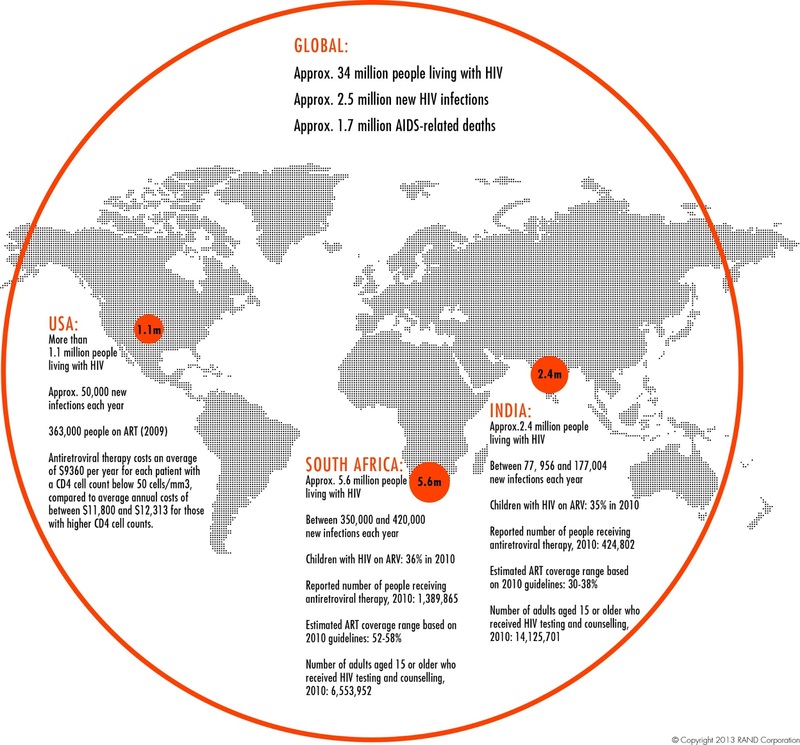 Who are the key populations? What are the social factors that make them vulnerable? Is this ethical? Does it make sound public health sense? What wont be afforded if we go this route? Who will benefit if we do? Those are all very hard questions but they deserve to be asked and certainly require ongoing dialogue. This brings us back to the Mapping Pathway- we have been contributing to the dialogue through this project. We also need to do the modeling exercises and implement some feasibility type projects and then continue to raise more questions., It’s a wonderful thing that we are at a point where we can actually have these conversations. They are not hypothetical questions anymore. It is urgent to have these discussions in such a way that the next steps become clear and infections can be averted before too much more time is lost. 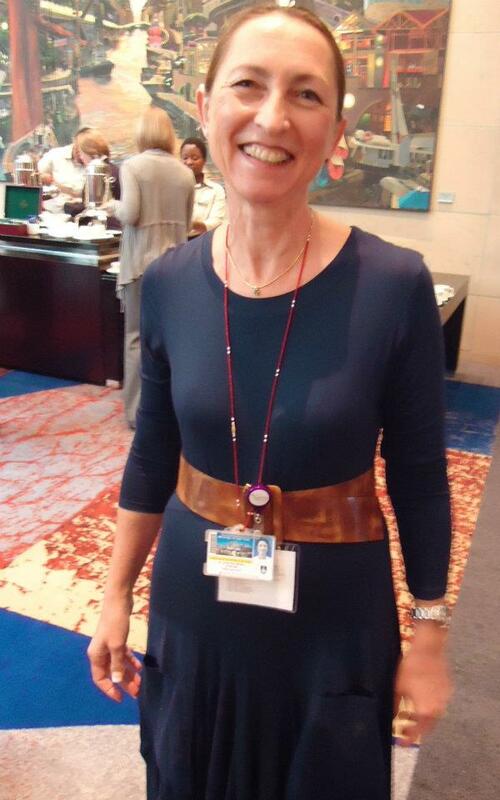 Linda-Gail Bekker is deputy director of the Desmond Tutu HIV Centre at the Institute of Infectious Disease and Molecular Medicine, University of Cape Town. She also serves as the chief operating officer of the Desmond Tutu HIV Foundation, a Mapping Pathways partner organisation. There is a clear and pressing need to engage policymakers and community stakeholders in the consideration of treatment and prevention options for HIV/AIDS. This necessity has grown stronger in light of current research showing extraordinary promise of using antiretroviral (ARV) therapies for the prevention of HIV. These ARV-based strategies include a ‘treatment as prevention’ model known as TLC+ (testing, linkage to care, plus treatment) as well as vaginal and rectal microbicides and pre-exposure prophylaxis (PrEP). Mapping Pathways includes a thorough review of the social, economic and clinical impacts of treatment as prevention and TLC+, as well as microbicides, PrEP, and post-exposure prophylaxis, in the contexts of South Africa, India and the United States. Participation and engagement is at the heart of the study, and stakeholder input across the community, research, policy and governmental spheres will be a core focus in all three countries. The project’s aim is to provide the research and analysis that communities and policymakers need in order to formulate coherent, evidence-based decisions for HIV/AIDS treatment and prevention strategies in the 21st century. Mapping Pathways firmly believes that the evidence base is comprised of more than scientific data derived from clinical research – it is more than P-values and confidence intervals. The perspectives, experiences, and collective wisdom of community members and key stakeholders must be valued as much as statistically significant trial results. Community partners include NAZ India, Desmond Tutu HIV Foundation, AIDS United and AIDS Foundation of Chicago. RAND Europe is leading the project's research activities, and Baird's CMC is providing communications support. Funding for the first year (Phase I - 2011) of Mapping Pathways was provided by Merck & Co. Phase II funding (2012) was provided by the United States National Institutes of Health and Merck & Co, and included a number of information dissemination activities. The project's report "Developing evidence-based, people-centred strategies for the use of antiretrovirals as prevention", featuring a foreword by Archbishop Desmond Tutu, was published June 19, 2013 and is available here. A video, Research Brief, and podcasts about the report are also available here. Phase III funding (2013) has been provided by The Gilead Foundation and involves three 2-day Knowledge Exchange Workshops - one each in San Francisco, Atlanta, and Washington, DC. Click here to check out Mapping Pathways posters and presentations.